Facial hair is, and always has been, one of man’s many fashion statements. Over the years styles may have changed, with more men today rocking wild lumberjack beards that display impressive growth over handlebar moustaches, but the necessity for fastidious facial grooming is more prominent than ever. A good shave therefore, is incredibly important. Now, there are many steps to a good shave and a plethora of grooming products to aid each step of the way, but for the act itself one at least needs a decent shaving cream or foam and a soothing moisturiser of sorts to calm the inevitable burn. Oh and a razor too, that always helps. In February, legendary luxury house CHANEL will launch two such things as limited editions within their BLEU DE CHANEL line. 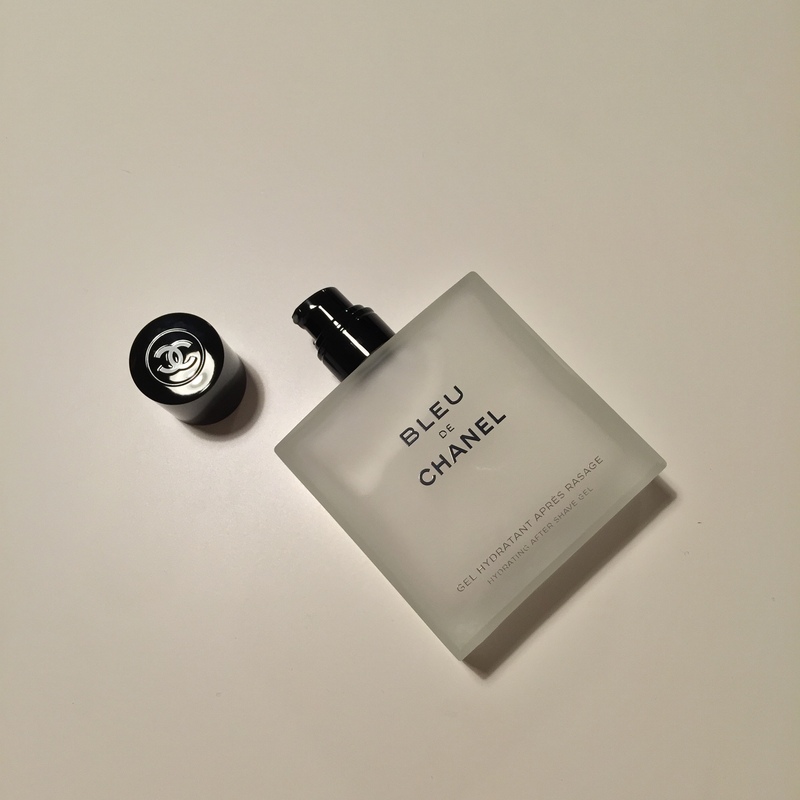 Now, regular readers of my blog will know that I’m more likely to spritz on some Nº5 than I am BLEU DE CHANEL (I do love a floral, after all), but that’s not going to stop me from exploring all that the line has to offer. With their SHAVE IN STYLE collection, which consists of the BLEU DE CHANEL Shave Cream and BLEU DE CHANEL Hydrating After Shave Gel, the iconic Parisian house are utilising the familiar scent of BLEU to fragrance two products that “ensure a perfect shave and an elegant and sophisticated trail”. As with all things CHANEL, the quality is top notch and without offering too many spoilers, I found them to make for a very enjoyable shave. Shaving is a ritual – a time to take care on oneself, and let’s face it, if you’re going to shave, and shave properly, why not do it with CHANEL? I am forever besieged by shaving rash when I put blade to face, so for me a good shaving cream is essential. I look for something that is easy to apply, lathers up enough to give good coverage and most importantly, something that leaves the skin feeling soft and smooth, and ultimately allows for an easy shave. BLEU DE CHANEL Shaving Cream hits the mark on each and everyone one of these points. CHANEL describes it as a “versatile shaving cream that adapts to your every need”, whether that be for gents who go for the full close-shave or for those that want to maintain the shape of their designer facial hair. Out of those two camps, I’m definitely in the latter, sporting a semi-tidy and relatively short-lengthed beard. So, with a good deal of enthusiasm I set to undertaking my bi-weekly facial fuzz tidy, this time testing out the CHANEL Shaving Cream in place of my usual product. The cream has a soft, watery texture and it goes on to wet skin lightly. After lathering it up a bit one gets good coverage with no drips or excess. I found that it created a decent barrier on the skin, enabling a close shave but also providing protection from the harshness of the razor. The verdict? Pretty good. When it comes to shaving products, I’m used to picking something easy such as Nivea’s shaving foam. The CHANEL feels way more luxurious and is also much easier to use. It has a soft texture that moves smoothly with the razor and it comes off quickly without leaving any stickiness. In terms of scent, I’d say that it is lightly scented with BLEU DE CHANEL, which lends itself nicely to a shaving product. It’s instantly recognisable as the herbal-woody-citrus that is the core of the scent, but it doesn’t impose at all. The ease of it all has me sold. As good as the Shave Cream is, the Hydrating After Shave Gel is the magic product here. After a shave, my skin is often left red raw, with sore patches as well as a feeling of regret that lasts at least a couple of days. So far, I haven’t really found an after shave or moisturiser that is suitably soothing, but the BLEU DE CHANEL Hydrating After Shave Gel may just be what I’ve been looking for. The gel is light, and just as CHANEL describe it: “watery”. Again, it is lightly fragranced so if BLEU DE CHANEL is one of your signature scents, you’ll find it to be a handy accompaniment to your favourite fragrance, but it’s also an unobtrusive base should you choose to scent otherwise, or not at all (never advised, if you ask me). The texture of the gel sinks into the skin quickly, soothing any razor burn and leaving the skin baby-soft. I’ve honestly never had such soft and irritation-free skin following a shave, and the lack of tightness in my skin, something that I’m usually adding to my list of complaints following a shave, is really quite refreshing. The Verdict? Colour me impressed. I’m no grooming expert, by any means, but i do appreciate when a product works for me. 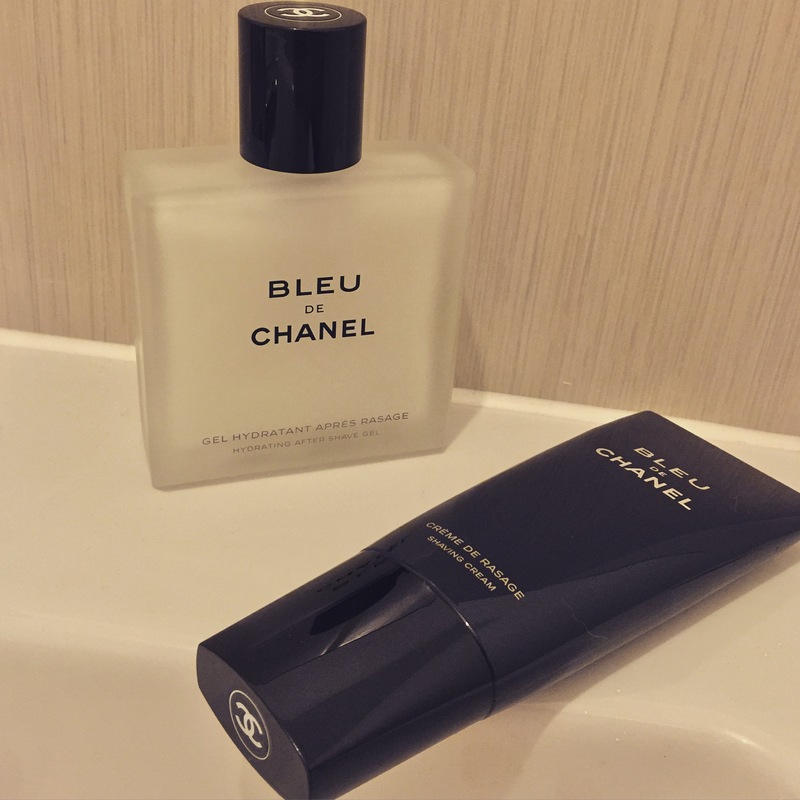 The BLEU DE CHANEL Hydrating After Shave Gel moisturises the skin, relieves razor burn and protects from feelings of tightness – three things that make for an exceptionally good after shave moisturiser, and by extension an incredibly good shave. BLEU DE CHANEL Shaving Cream (100ml) and Hydrating After Shave Gel (90ml) are available nationwide from 05 February. Both products are limited editions priced at £38. Samples via CHANEL. Images are my own. Quotes via press release. 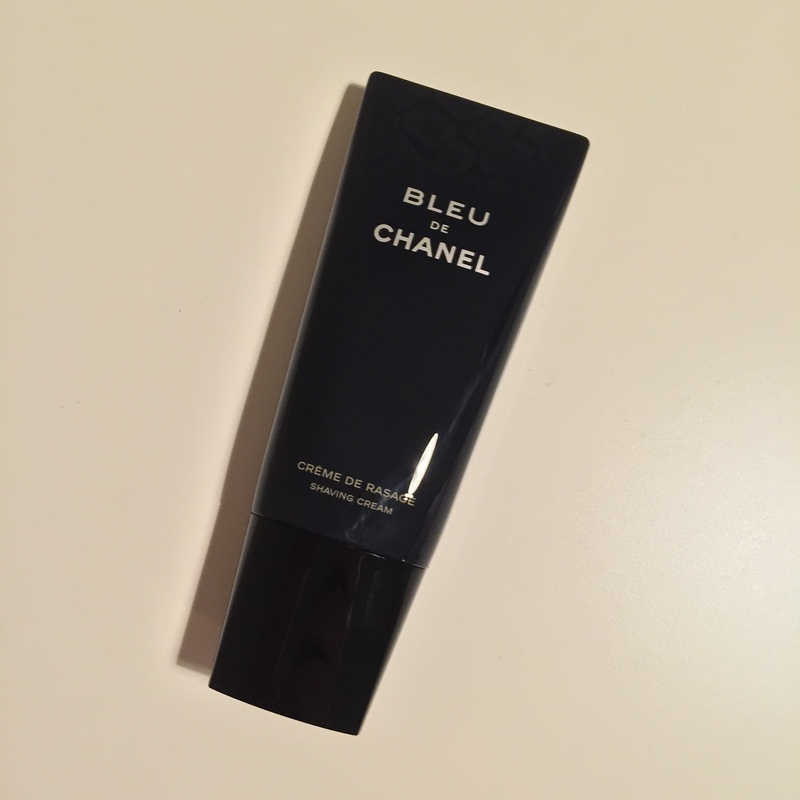 Posted in Body Products, Chanel, Grooming and tagged BLEU DE CHANEL, Chanel, Fragrance, Grooming, Hydrating After Shave Gel, Perfume, Review, Shaving Cream. Bookmark the permalink. Have you tried their perfumed soap? It’s divine. I have not! I shall seek it out. I haven’t but you have me intrigued! I have been toying with the idea of getting the shave set. Now I am sold. I so enjoyed reading your review. Bravo! I was really impressed! The After Shave Gel is one of the best I’ve used. Did not know Chanel had a men’s line. Will investigate….